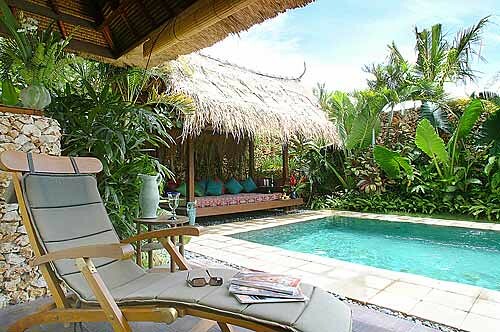 Family bali villas, originally uploaded by bali_villas. Villa Kubu is a unique group of luxurious villas, each with its own private swimming pool. Located in Seminyak, away from the dizzy rush and bustle of Kuta - Bali, yet still near to the exciting shopping, restaurants and nightspots. Our villa accommodation is within easy walking distance to Legian Beach and only a 15 minute drive from Bali International Airport.